This album has taken a while to sink in with me, but given the time and attention it deserves, Kahane establishes itself as a very strong record. Sujo's earlier recordings impressed me with how heavy they could be without sacrificing much in terms of crafting good songs. There is a fine line in the world of drone between heavy and overbearing, and I like that Sujo never cross that line. Kahane sees the band wander into some newer territory, integrating loose structures into the almost majestic atmosphere to create a very cohesive record from start to finish. I love that they can change up the sounds at any second without losing anything in terms of intensity. 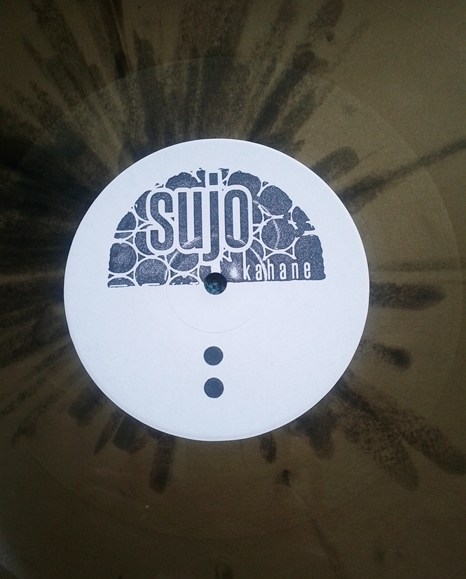 It seems like not a lot of people know about Sujo, so you should definitely check them out at their Bandcamp page. This album, which comes on colored splatter vinyl in a stamped chipboard sleeve, is available now from Fedora Corpse.